As I didn't own a car, I had to walk to the location. It wasn't very out of the way, so at least it didn't take too long. Regardless, I had better be getting a reward once I got there, and I was pretty sure I knew what I wanted. I had a goal in mind, and if I didn't achieve it, someone was getting hell. It was at a hospital, or some sort of hospital-like thing. I walked up to a woman at the register. She wasn't the prettiest thing, but she would do. I walked up and flashed a charming grin, getting a shy smile in return. I placed my finger on the top of the paper she was working on to get her attention, then slipped it around so I could see what it was. Hey there, gorgeous. I guess I don't need to say I'm here for the blood drive, but I don't have just any blood. I hear there's someone who needs blood from us freaks? I'm more than willing to provide. She frowned a bit at my mention of freaks, but honestly, that's all we are. You'll have to prove you have a power. Straight to business, eh? Can't we just.. Relax... Let loose a little? During my second pause, I peered at her chest, and popped the top button of her shirt, exposing her cleavage and a little bit of her bra. She covered her chest with a start, then quickly buttoned her shirt back up. I grinned. While she was fumbling with that, I made a move a little lower. She yelped and smacked at her lap, leaping up and knocking her chair to the ground. My grin widened. You... You crude, perverted... Freak! She glared at me for a moment, then ran around a corner and out of sight. I threw my arms in the air and shouted after her. What about my blood? Come back! Take me, baby! Take me! I laughed, figuring I'd need to choose another target for tonight's reward. Commander Ares had a busy morning, he had a lot of work and a lot of planning to do, but when he got a call from the hospital saying someone with powers was looking to register, he immediately made his way over with a team. He couldn't be too careful, it could be a trap, but he couldn't risk letting the chance go by. His men entered the room first, holding weapons pointed at Charles. Then Ares followed in behind, ready for anything. "I've heard you want to give something to me." He said simply, wondering exactly how much the other man knew about what he wanted. I didn't bother to hold my hands up. If he was going to shoot me, then let him shoot me, I could deal. But if he was interested in my alliance (or, knowing people like this, more likely to be my servitude) then I was pretty sure he'd put the guns down. Commander Ares frowned at the man, but still raised his hand and his men lowered their weapons. They were still obviously alert and ready to shoot, but they were less open about it. Ares let out a slight sigh, not trusting the other man at all. He was hoping to have finally found a committed partner. "Now, now, sir. Let's not take everything personally. I have a lot of enemies. A lot. Most of which are super powered monsters who could tear me apart with a flick of the wrist. That's why I'm forced to take such precautions when I'm doing my job. For all I know this could be an ambush and you could be from the resistance movement that's formed and this whole thing could be an assassination attempt. I don't have powers like you to defend myself with." Ares was frustrated, though he made sure it didn't show. He hated that in order to gain the trust of these freaks he had to leave himself open, and show weakness. One day he was sure it'd get him killed. "Now that we're through with that unpleasantness. I've heard you want to donate blood?" Ooh, so there is a resistance movement? I cooed. That made me smirk, but I didn't go any further into that. There were more important things to do. I held my arms up now, and split both my arms at the wrist, letting the blood flow. It hurt, but hey, it was a blood drive. I caught the blood and floated it in the air, letting it sort of float round like water in space. Eventually I merged it into a ball in front of me and held it there. I kept the rest of my blood in, preventing the bleeding, since, you know, I didn't want to pass out. I do want to donate blood. But I don't just want to do that. You said resistance movement? I only proffered one question. Have you need of an extra soldier? An extra soldier with powers, maybe, who doesn't dress nor act like a soldier under the command of General Ares? Someone who could be a potential double agent, maybe? The man had very quickly grabbed Ares attention with the offer of becoming a double agent, a soldier with powers. He'd already recruited the ninja with invisibility, but he could definitely use more soldiers. The offer made Ares smile. "I could use some new soldiers, and ones with powers would be even better. You'd be willing to be a double agent? And your power... it's telekinesis?" Ares said questioningly. He'd like to have a report on the mans power before he trusted him to be a double agent. It would be a test of loyalty and a way to get the information that he needed. Two birds, one stone. I smiled. Telekinesis, yes. It wasn't really, but that's what I liked to call it, since reality would be a little more difficult to explain, given that "telekinesis" was a one-word explanation. Yeah, I'm telekinetic. And yeah, I'm willing to be friendly with the not-so-friendlies. I just have one thing to ask. I wibbled the ball in front of me around a bit. Can you take my blood now or what? I'm gettin' kinda tired of holding it up all day. Ares nodded to the man on his left, and he rushed forward to collect the sample. Ares gave a curt nod to the "patient" when his phone started ringing. The first call was from one of his most promising officers. "Excellent, I'll be here. I hope to see you soon." Almost immediately after he hung up on his officer, he heard his phone beep again. With a slight sigh of frustration, he picked it up again and listened to another message. This one was from Dorian Featherfall, his newest officer. The fact that the boy was reporting back brought a smile to Ares' face, glad to see the kid was proving useful. He dialed him back, leaving a message of his own. Ares turned back to his cooperative guest, his blood now collected and stored safely in a metal suitcase, designed to be bulletproof. Ares gave a wide smile. "That sums that order of business up! Next, there's a few people I'd like to introduce you to. The task force, in some words. My main army against the rebellion. They should be arriving here soon." The car pulled up to the hospital, and Webrins stepped out carefully. The driver, too, exited the car, and they awaited Dracula before they began their trek to her commander. The younger woman cracked a knuckle or two as she stood patiently. OOC: Stein, you can post that the driver's leading the way once you leave the vehicle. It wasn't difficult to spot the commotion down by the clinic, and even easier to spot Ares. The diminutive commander's aura was rather unique. It also appeared that more military goons were stepping out of a vehicle, their demenor was rather easy to read and gave away their training. No doubt they were here to report in as well. Dorian made his way down to street level and jumped from car to car, to street lights and other fixtures that hung above the crowd. He silently landed on the car that the woman stepped out, just as she cracked her knuckles. His invisibility and silent feet made him virtually undetectable. As he jumped off, the car shook ever so slightly, barely adding on to the momentum as the last person exited. The invisible ninja eventually landed behind Ares without making a sound. Although he was unsure if Ares could detect him, he hoped that he could gauge his ability. "I'm here. I hope you can appreciate my discretion." Dorian whispered, making sure no one else could hear. Dracula stepped out of the car, whistling a very old tune that was about four centuries in age, and hadn't been heard since then. He followed Ms. Webrins with a sway in his step up to a medical clinic that was more likely than not inferior in every way to his skills and was therefore wasting his time. However, Dracula held back any accusations and waited for the punchline to at least make itself present. He was eventually presented to a child, and a blonde man who seemed to be of no importance. Dracula reminded himself that no one was of any importance. Continuing his merry whistling, he looked at the kid. Nothing of any importance. Something was off, though. In the background of the child, the regular equations and information were presenting themselves. Someone had the ability to turn invisible, and they were clearly using it. Dracula grinned. They also had some powers over wind, though it wasn't presenting itself yet. These abilities belonged to what seemed to be a ninja. Dracula's grin widened. (To his knowledge) He was the only one who knew what this ninja looked like. Was he a casual eavesdropper? Or was he involved? Dracula squealed with glee gently upon the discovery he had just made, grinning ear to ear. His grin was quite disturbing, although his teeth were neat and white. A white, amorphous blob hovering behind the man...oh the glee. "You," Dracula began, bouncing on his heels a bit as he pointed at Charles. "You are very special indeed. I like you. Could I examine you later? Please? Oh god please say yes..."
This new discovery managed to distract Dracula from the fact that he still had not been taken to Ms. Webrins's leader, to his knowledge. His policy of no one was truly important had been proven wrong for this brief moment, and he had been impressed in the same instant. Perhaps this wasn't meaningless after all. Ares held a soft smile as his favorite operative entered the room. There was many reasons he adored working with his Special Tactics Officer, Webrins. It seemed despite the job being outside of her usual bubble of knowledge, she could still pull it off flawlessly and obtain the perfect results, and he loved results. Before he could greet the girl though, he noticed a new presence. Ah, the ninja had returned. How nice. Ares waited for the man to speak first, before addressing him. Almost as if he was pretending he never knew he'd come in all along. "Ah. You're back. Good, good. I'm happy that you've found yourself fully committed to our cause. I do wish you'd have called me earlier though. I could have sent some assistance to you. I hear there was a quarrel? At least you made it out okay." The next to enter was the scientist that Ares wanted more than any of his officers. He'd heard a lot about this man, and was told that he was the authority on individuals with unique powers. 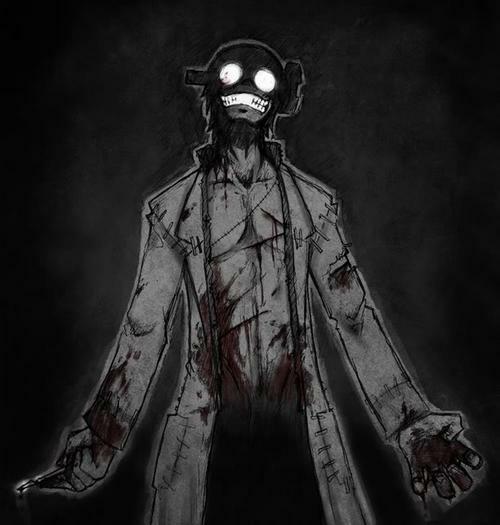 He certainly carried himself as a scientist, unleashing a rather disturbing grin that made Ares frown a little bit. "Dracula de la Morte, it is truly a pleasure. I've waited a long time to meet you. You're not an easy man to track, even with the government resources I have. Which means a lot. I'm happy to see my faithful subordinate could get you here passively. She always has been my favorite." Ares extended his hand to the doctor politely, showing no response to his disturbing grin and interesting line of questions to their guests. "I am Commander Ares, in charge of the Alacritas Military Force. Let me introduce you all to each other." Ares started by putting his hand on Dorian's shoulder, negating his invisibility as he touched him. "First, Dorian Featherfall. Infiltration unit," then he motioned to Webrins, "This is Webrins, Special Tactics Officer for when we get ourselves into sticky situations," next up was Dracula, "Dracula de le Morte, hopeful the next head of our research department, in charge of doing all the poking and prodding we need to figure out how these powers work, and more importantly... how to protect people from them," lastly, Ares pointed to Charles, "Last but not least, Charles DeVanderwick. He is our newest foot soldier." Ares smiled widely as he brought his team together. He was happy to see everything was going smoothly. "Now that we're all acquainted, I want us all to be efficient. We need to be able to contact each other at a moments notice." Ares snapped a finger and one of the men dressed in body armor that had accompanied him to visit Charles reappeared with another case. He brought it to Ares, who put in a combination to open it. Inside were four cell phones, each labeled with the names of everyone present. "Grab one of these, feel free to contact each other freely. It'd slow the entire process down if we did all our business through me. Dracula, if you could meet me in the other room after we're done here, I want to give you a personal assignment. Webrins, I want you to work with Dorian to find the metal manipulator, I've put the coordinates to his residence on your phones, but it may be a base of operations for the entire rebel army so I wouldn't walk in there if I were you. I want you to get him alone, away from the rest, and put him on the phone with me. Dorian should have a start, considering they clashed downtown. Charles, I want you to head to the park, all my surveillance there was suddenly short circuited and I want you to look around for anything suspicious. Sound like a plan?" BIC: Once the man had appeared out of thin air, the hairs on Webrins' neck stood up as if someone had spoken poorly about their mothers. She found her hand instinctively reaching for her weapon until Ares continued speaking, reeling her sudden rush back in. She couldn't help but question if her sanity would remain intact with all of the superpowered-s she'd have to deal with. But it was a job, and for the greater good. She nodded at Dorian, considering what she should call him as she reached for a cell phone. "..Mr. Featherfall.. On your signal, we go, unless I'm still needed here." "I didn't have it on me at the time." Dorian maintained his whisper as he responded, and then stood silent as the group came together. He was right about the woman he suspected earlier. A rather strange scientist also accompanied the other soldier. He seemed a little off as well, and Dorian didn't look forward to working with him. When Ares revealed him, it was obvious that he did not approve. After the introductions and next orders were all said and done, Dorian picked up a phone after Webrins, replacing it with the current one he already had. "We should start at The Mattress Company. The metal user murdered a boardroom full of people, claiming to be Mr. Lancaster's intern. So lets start with him, but be careful. He is also an ability user, with the power to regenerate. They are most likely working together, and his assassination plot that I overheard must have been to seize power. Use the investigation as a cover to interrogate them. If they are still playing the intern angle, he might still be there, and getting him alone shouldn't be a problem. There was also a third ability user that I'm not too sure of. He's a little crazy, I'm sure you'll notice him if you see him. Head down to their skyscraper, I'll be right behind you." As Dorian finished speaking, he turned invisible, and headed off, back to the scene of the crime. Dracula turned his attention to the young man as he addressed him, saying it was great to finally meet him. He said he had waited a long time for this, and that he wasn't an easy man to track. Apparently Ms. Webrins was his favorite assistant, and he was glad she could get him here without conflict. "Yes, young man, it was never supposed to be easy to find me. The last people who found me tried to forcefully use me, and, well...I assume you know what happened to them. But yes, I digress, Ms. Webrins was especially polite. You could say she is the only reason I came here," Dracula lied. The young boy introduced himself as Commander Ares, and went ahead to introduce them all to each other. He suddenly reached out and touched the invisible man, Dracula's lip twitching a bit, as his private information reserves were depleted. Ah, well, he supposed he couldn't have all information to himself...yet. The man's name was Dorian Featherfall, and for this military operation, he would be the head of the infiltration unit. However, the information on the young boy's abilities was certainly interesting, for that was why he didn't think the boy was anything special before. He could negate ability users...that hadn't been heard of for many years. Next, he introduced Ms. Webrins as their special tactics unit for sticky situations. it was odd to Dracula; sure, she was a good soldier, but the head of an entire special tactics unit? In this world? He wasn't in charge, but there had to be something more, right? Then, he introduced Dracula, saying that he was hopeful Drac would become head of their research and development department. Dracula started taking notes after pulling out a pen with a color unusually similar to that of blood, and a notepad, taking down notes of everything that was transpiring. He said that Dracula would be doing the poking and prodding to figure out other people's powers, and how to protect people from them. Dracula grinned. Perhaps he would eventually be able to figure out how to do something like that, but new ability users popped up every day, if not every minute. It would be a lot of work. Finally, Ares pointed to Dracula's person of interest, introducing him as Charles DeVanderwick, and saying that he was their footsoldier. Ares said that they needed to be efficient and able to contact each other at a moment's notice. He had a man bring a case over full of cell phones for each of them, all labeled. Dracula got his first, looking at it, then ripped the label off (If it were tape or paper or something), pocketed both the cell phone and label, and went back to his melodic humming. "Text communication only, please. If I want to actually talk, I'll call you, but if you call me regularly I'll snap it in half. Pet peeve of mine." Ares asked him to meet him in another room when he was done giving the others orders. Dracula grinned, bowing slightly in respect, and waited.